HomeArticlesThe Call2Recycle Battery Seal Celebrates Its 20th Birthday! Did you realize that one of the most important historical symbols of Call2Recycle is its battery seal? Created in the early days of RBRC (The Rechargeable Battery Recycling Corporation), the forerunner to Call2Recycle, Inc., the seal symbolizes two decades of safe and responsible recycling of rechargeable batteries across North America. When Call2Recycle was created in 1994, the first challenge executives faced was establishing a way to fund operations and to meet the 1996 Battery Act labeling requirements. The idea of a rechargeable battery recycling seal was suggested, then adopted as the most viable solution. Under the system, licensees, including participating battery and product manufacturers and marketers, could purchase the rights to imprint the battery seal on their rechargeable batteries, products, product packaging and manuals. The official battery seal would promote recycling to buyers of rechargeable batteries and communicate an important message: Batteries and batteries in cordless products with the seal can and should be recycled, and a free, easy solution exists through Call2Recycle. Call2Recycle Industry Stewards purchase the rights to imprint the Call2Recycle Battery Seal on their rechargeable batteries and products. To date, Call2Recycle has over 200 stewards committed to recycling batteries. The design of the seal became a key priority. It was decided that the central design element would be the international recycling symbol, a Mobius strip of three arrows designed by art student Gary Anderson in 1970. Another important element was the toll-free consumer helpline (1-800-822-8837), which gave buyers an easy way to find out how to recycle their used batteries. 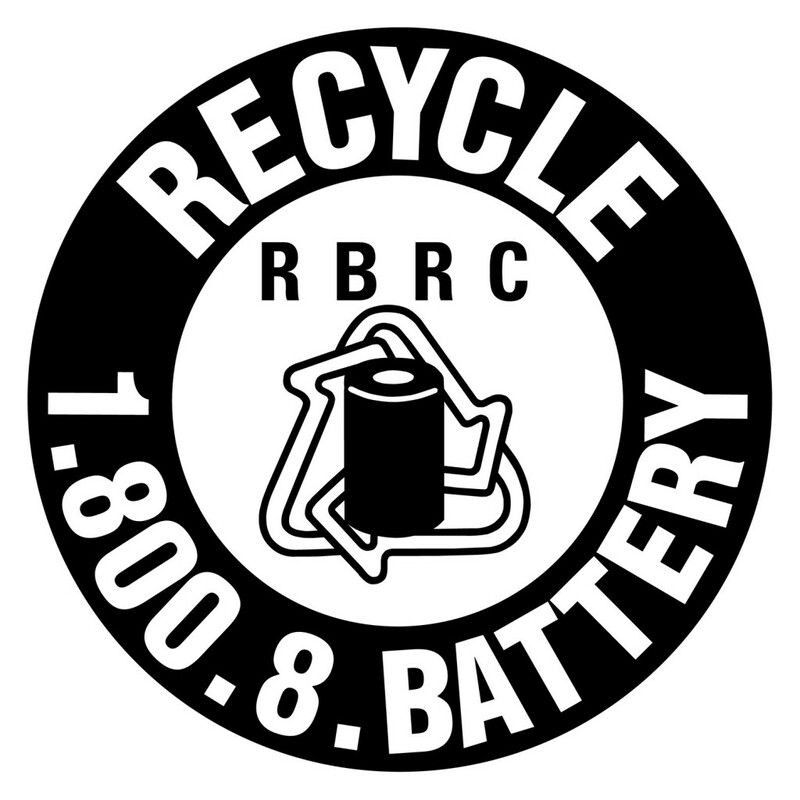 Also included, were a ‘Recycle’ call to action; the ‘RBRC’ name; and a battery symbol. Initially designed to be used on Nickel-Cadmium (Ni-Cd) rechargeable batteries and products, the seal is now featured on all five types of rechargeable batteries that Call2Recycle collects. The original seal is identical to the one you see today. The seal is a registered trademark of Call2Recycle. To further promote recycling, Call2Recycle took the battery seal to the U.S. Environmental Protection Agency (EPA) for approval as an alternative label. In 1998, the EPA certified the seal for Nickel-Cadmium (Ni-Cd) rechargeable batteries and products. This was the EPA’s first certification of an alternative label to that required by the 1996 Mercury-Containing and Rechargeable Battery Management Act. Why was an EPA-approved seal such a big deal? Call2Recycle felt that the current EPA-required language–“Battery Must Be Recycled or Disposed of Properly”–encouraged disposal as an equally acceptable alternative to recycling. An alternative seal would help address consumer confusion about what to do with used Ni-Cd batteries. Call2Recycle believed that there was no reason for any used Ni-Cd battery to be disposed of in the trash given the availability of recycling locations across the U.S. and Canada. Today, approximately more than 350 million of rechargeable batteries are sold every year in the US, according to the EPA. 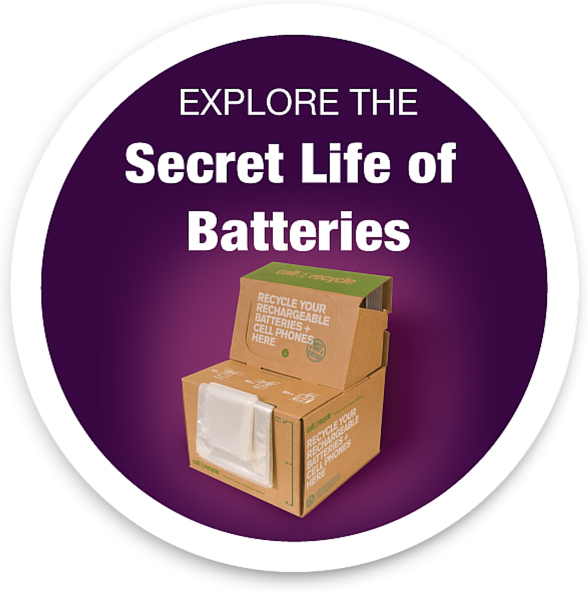 Licensee fees not only fund the collection and recycling of used rechargeable batteries, but a public education program to promote battery recycling. In addition, Call2Recycle monitors the seal’s proper use in the marketplace to ensure that the manufacturers using it are licensed and that the seal is being displayed properly. The Battery Recycling Seal has stood the test of time. It is a reminder to people across North America to recycle their rechargeable batteries instead of adding them to the solid waste stream. It also symbolizes Call2Recycle’s ongoing commitment to responsibly and safely recycle rechargeable batteries to help protect the environment.